Learn more about Advanced AV and the people who make it! Advanced AV was formed in 2018 by business partners Jordan and Phil. Advanced AV Solutions was set up to bring integrated and smart security and audio and visual solutions into every home and business by providing complete customer focussed bespoke turnkey systems for out clients. Through our experience and expertise, we work with our clients to deliver cost effective, integrated and customer focussed solutions for homes and businesses of any size. Our multi-skilled close-nit team have worked in our industry for many years, installing and maintaining a wide range of disciplines. Our success is largely due to our dedicated team striving to meet customers’ specific requirements and a level of customer service that cannot be rivalled. Advanced AV are always striving to meet the highest standards with a commitment to professionally progress and development our employees. Business partners Jordan and Phil established Advanced AV in early 2018 after sharing the one goal of providing high quality customer focussed security and audio visual solutions for clients across the UK. Since establishing the company has gone from leap to leap with our client basis growing daily. What sets Advanced AV apart is the fact that even though we operate services for our national client basis they still receive excellence through our services and the vey best in communication. I have vast knowledge and experience of a variety of in-depth hard-wired and WiFi data solutions and have been responsible for the design, implementation and installation of complete integrated data networks for nationwide organisations. I very much take a ‘hands on’ approach with all systems that we install coupled with a strong emphasis on understanding our customers requirements and needs. I am fortunate enough to hold a variety of industry related qualifications that allow me to ensure we provide you with suitable, simple to use Audio Visual solutions. With over 15 years experience in the Security, Data Infrastructure & Networking and Home Entertainment industry, I have the knowledge and expertise to design full and in-depth solutions based on your requirements. Whether you are looking to add a couple of CCTV cameras to your property or want to transform your whole home into a ‘smart home’, I will work with you to ensure we exceed your expectations. I have a real desire to ensure all our clients get the best out of their homes with the latest reliable, simple to use technology from industry leading manufacturers. From our business and sales to our install and service team members, Advanced AV simply wouldn’t be able to operate without them. Here at Advanced AV we operate a close nit relationship with our team just like we do with our clients which forms our core values as a company and our commitment to delivering excellence in our projects and services. Jayne joined the team to support the daily operations and ensuring all of our projects run smoothly through strategic business management, supplier credit control and customer relations. Jayne brings a wealth of experience from a range of industries throughout her careers and ensures our behind the scenes operations stay organised. Josh joined the team to manage and increase our online presence through his wealth of experience in online and business marketing. From SEO and social media platforms to pens and calendars Josh manages it all. A keen photographer Josh is also our camera man when it comes to promoting our business through our real world case studies. Paul joined the Advanced AV team in early 2019 to manage our stock and inventory. Paul ensures our engineers have all the kit needed to complete our customer projects on-time. Imogen joined the Advanced AV team to oversee our customer relations and promotions to ensure all of our clients receive the Advanced AV touch! Advanced AV recognise the importance for not only a strong robust set of internal accreditations for our engineers and team but also third party industry recognised accreditations. Advanced AV place a lot of enthesis on ensuring that our Industry Accreditations are met and exceeded at all times, whilst also continuing to obtain new Industry Accreditations as they become relevant. 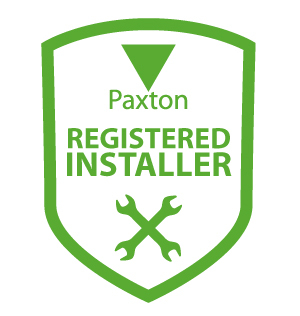 Advanced AV are a Paxton access control registered installer for their access control and intercom products. 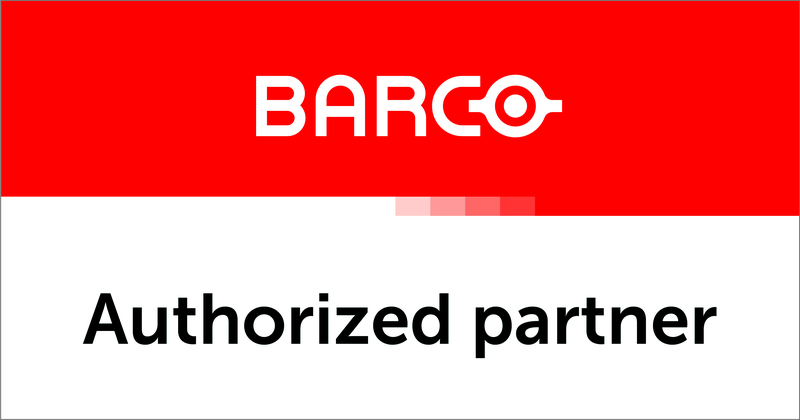 Authorised partner for Barco installing and maintaining their range of wireless presentation and video solutions. All of our engineers are put through the HCSA qualification to ensure their competence and technical product knowledge. Advanced AV are a Texecom registered installer as one of our primary alarm systems to install at customer properties.